Does your business need a barcode inventory system with a barcode generator? If so you have found the ulitmate barcode supply company, Tri-State Business Systems. Barcode labels contain all the essential information about an item, what it is, and where it needs to go. This is necessary for all types of warehouses, manufacturing plants, distribution, retail facilities, schools and more. While there are a number of industries that rely on a barcode generator to produce custom barcode labels on a daily basis, you should not trust just any barcode generator for this all too important task. Your business requires equipment that is able to develop the barcode labels that will meet the compliance standards of your company and maximize your print efficiency. In a modern supply chain, a proper bar code generator equipment is essential for accuracy and quality. This is especially true with more and more companies relying on the automatic identification and data capture technology for the internal manufacturing process. By using a high quality barcode generator, your company can be assured that items are properly routed for distribution purposes. 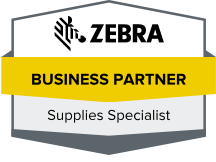 When it comes to selecting the right equipment for your barcode generator needs, it is important that you work with a company that has the technology and ability to provide superior equipment. One mistake or issue can result in serious problems. Contact Tri-State Business Systems for the best barcode generators on the market today. We stand behind our superior products, offer outstanding customer service, easy ordering, and will happily answer any remaining questions you may have.